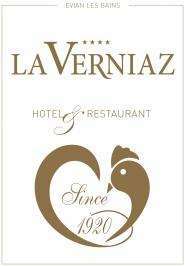 La Verniaz is one of the oldest hotel in Chablais, opened in the 1920’s in a Savoyard farmhouse built during the 18th century. It is still today one of the only independent and family held 4-star hotel on the shores of Lake Leman. History was written here: Evian Agreements were negociated at La Verniaz. Also Elizabeth Taylor, Charlie Chaplin, Jane Birkin and Serge Gainsbourg, the Aga Khan and many others had their habits at La Verniaz. Spread out on 2 hectares, La Verniaz is made up of several buildings (restaurants, hotel rooms, chalets, reception) located around the pool and tennis. Would you like to be between lake and mountain for your wedding reception? La Verniaz offers you both ! We organize weddings as well as receptions and meals for groups.